Home > Technology > Managing Technology > Small Business Technology Strategies > Is the Cloud Right for My Small Business? Is the Cloud Right for My Small Business? Apple's announcement of its new iCloud service is just one more sign that cloud computing has entered the mainstream. But for many entrepreneurs, the real question is whether the cloud has a silver lining for their small businesses. The demand for accessible and easy-to-use business solutions combined with the constantly growing power of the Internet made cloud computing an inevitable step in the evolution of business technology. 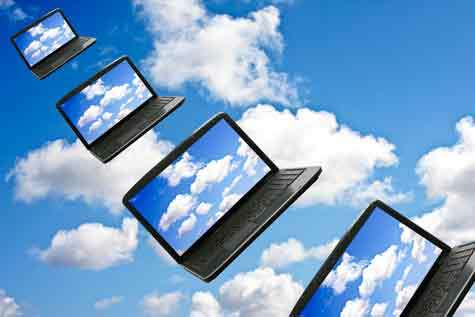 Although cloud-based solutions have been available to business owners for quite some time (e.g. SaaS, Gmail/Google Docs, Skype, etc. ), today's solutions are more flexible and robust than ever, making the cloud a serious contender for a multitude of business applications ranging from cloud-based CRM to full, offsite server hosting. Historically, both SMBs and enterprise-level business users have expressed concerns about the cloud's ability to provide a capable and secure computing environment with guaranteed data protection, retrieval and mobility. Terrified by stories of online service outages and data losses, many companies have used the cloud for peripheral functions, but have been hesitant to apply it to core business processes. That may be starting to change with the latest generation of cloud-based business services. Unlike some earlier cloud services, modern providers are offering solutions that address their customers' concerns while delivering important benefits like ease-of-use, scalability, user sharing & portability and bottom line cost efficiencies. Faced with high costs and scalability issues for their clients, Cloudkey, a Nevada-based technology consulting firm, began to explore the cloud as a way to lower expenses and create a more flexible computing environment. According to Cloudkey CEO, Scott Montgomery, "Even with virtualization, we spent large amounts of money and engaged in lengthy complex data center contracts that made change and scaling very expensive. We became interested in cloud computing to lower costs for ourselves and our clients, while providing an enterprise-class environment that can be easily scaled without expensive time-consuming change orders, hardware purchases, and contractors." After thoroughly evaluating the cloud marketplace, Cloudkey settled on Hostway's FlexCloud Servers solution, a scalable, on-demand cloud computing solution that touts its ability to combine the flexibility of a public cloud with the reliability and performance of an enterprise grade virtual environment. "The Hostway FlexCloud servers provide my team with the right level of control to administer the environments, the features we need to easily scale resources, and we have confidence in the Hostway infrastructure," says Montgomery. "Since we use FlexCloud to host our clients' applications, confidence in the infrastructure is very important." So far, Cloudkey has migrated two systems from traditional data center resources to FlexCloud, reducing monthly costs by more than 70%. Going forward, Cloudkey expects to benefit from even greater quarterly and annual cost savings due to reduced dependence on pricey support and license agreements. Not all cloud computing solutions are right for every SMB, so it's important to carefully evaluate each service according to its features, reputation and your company's technology needs. If this is your organization's first foray into cloud computing, you may want to start by adopting a low-risk application (e.g. Google docs) to familiarize your workplace with the cloud concept. From there, you can begin to move toward a larger cloud migration, soliciting input from your team to facilitate the eventual transition toward a larger-scale cloud migration. For companies that are still on the fence, the benefits and potential cost-savings are too tempting to ignore consideration of cloud computing as a technology alternative. Many cloud service providers offer free trials, eliminating any financial disincentives associated with test-driving today's leading cloud solutions. Based on Cloudkey's experience, Montgomery's advice to small business owners considering cloud computing is, "Embrace it. We were early adopters of both virtualization and the cloud. Both have paid-off in spades. Sometimes our colleagues express concern about security, availability, and performance on the cloud. We've found that with proper resource planning and design, cloud resources are actually more effective in all three areas." What's your take on small businesses and cloud computing? We welcome your comments, questions and tips.